As much as I love watching fashion on the runway, I also keep my eyes open on what the makeup artists have done to complete each look. 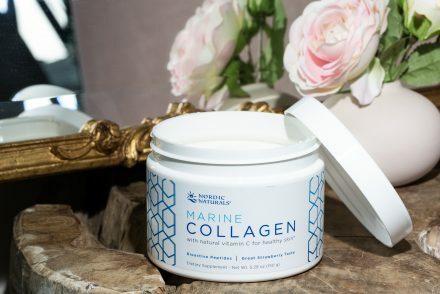 These 5 Spring beauty trends were some of my favorites that were inspired by what I saw from the latest fashion shows and on beauty blogs everywhere. 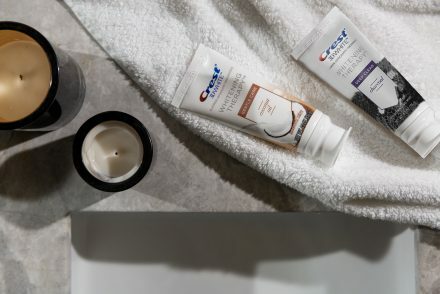 It’s definitely all about the natural face, which is nice for you ladies who don’t have a lot of time but still want to keep up with these upcoming Spring beauty trends. Less is more is definitely the theme of this Spring’s beauty trends when it comes to the skin. You can put those contour kits away! That dewy, sun-kissed glow is so beautiful for Spring beauty, which is easy to create with some foundation and a little bit of bronzer. Oh, and if you have freckles, you’re the envy of many runways makeup artists, as some even created them on the models! If you want to go bold this Spring, focus on your eyes. 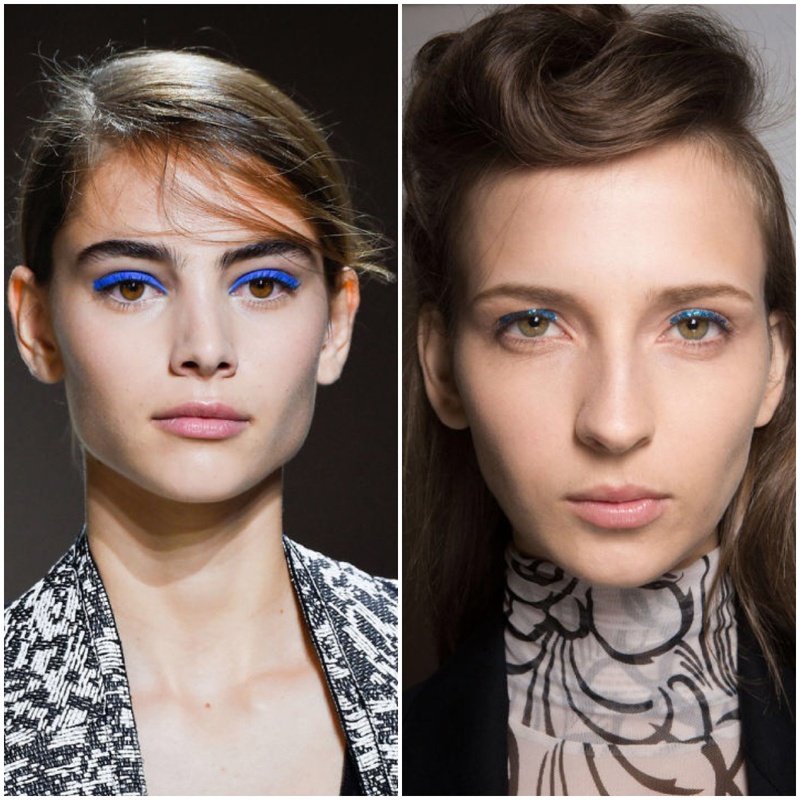 For color, blue eyeshadow is by far the most prominent shade for Spring beauty trends. If the bright hue scares you, you can line your lash line with blue eyeshadow using an angled brush, or dab a little in the corner of your eyes. Another way to brighten up your eyes this Spring? Glitter! Glitter accents in the inner corners or all over the lid is a pretty statement for Spring. If you’ve been investing in matte lipsticks and stains, you’re in luck. Matte is still the texture du jour, and candy apple red is the color of choice for Spring. 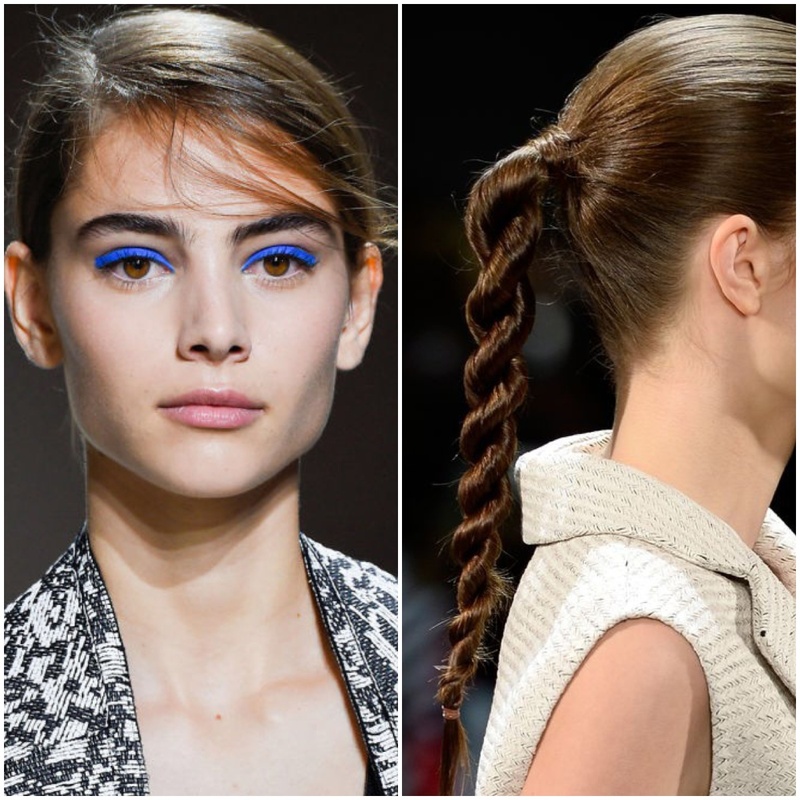 This Spring beauty trend is a nice change from the purples that took over winter. Bright, striking reds will do as well. 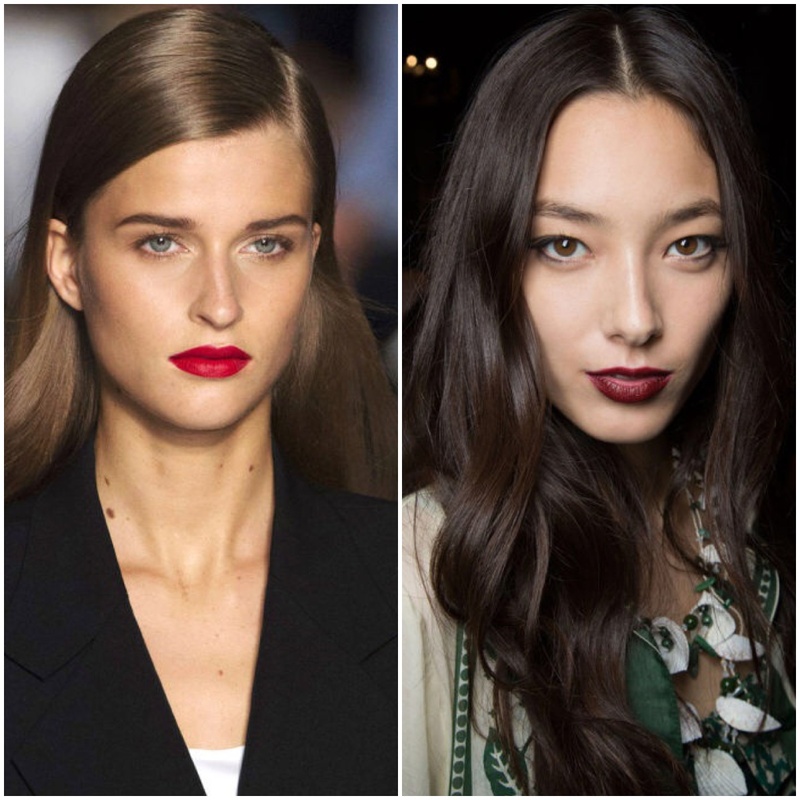 If you’re into the darker shades, oxblood and crimsons can warm up the skin for a night out. 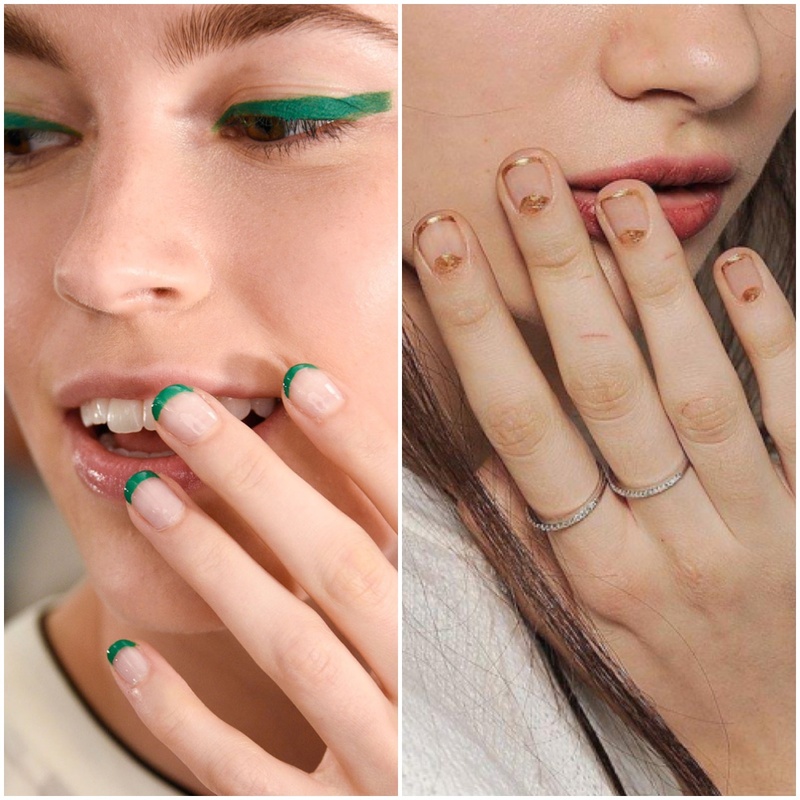 The classic French manicure is getting a makeover this Spring. Adding color to the typical French manicure is a very big Spring beauty trend, and so is changing the shape of the tip for an edgy look. You can change up the colors to match your personality and truly make what used to be the simplest manicure your own. The last of the 5 Spring beauty trends is probably going to be one of your favorites, ladies. 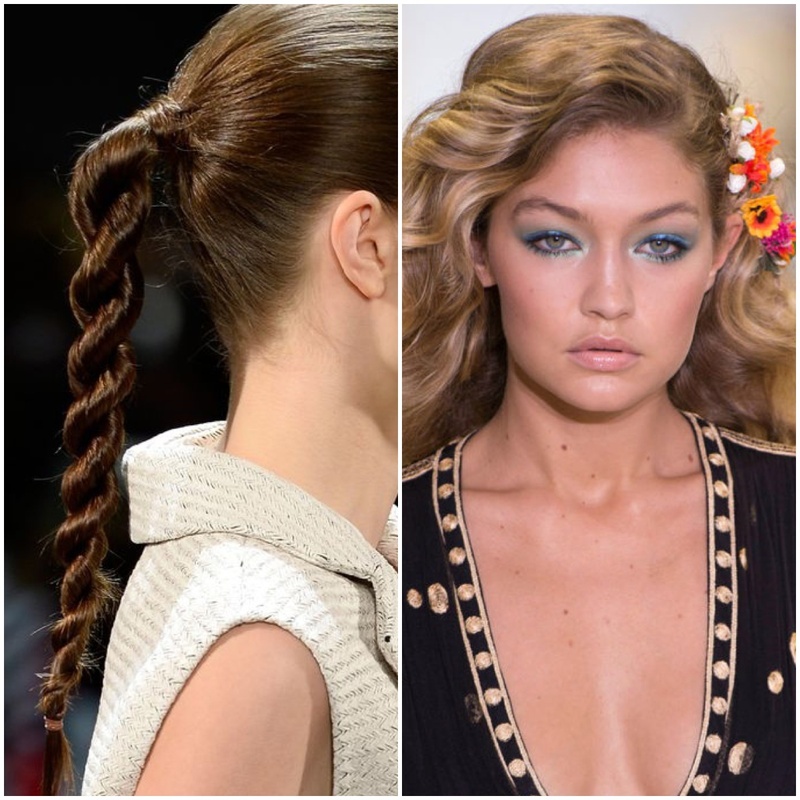 It’s all about low maintenance hairstyles that will take you a couple minutes to master! 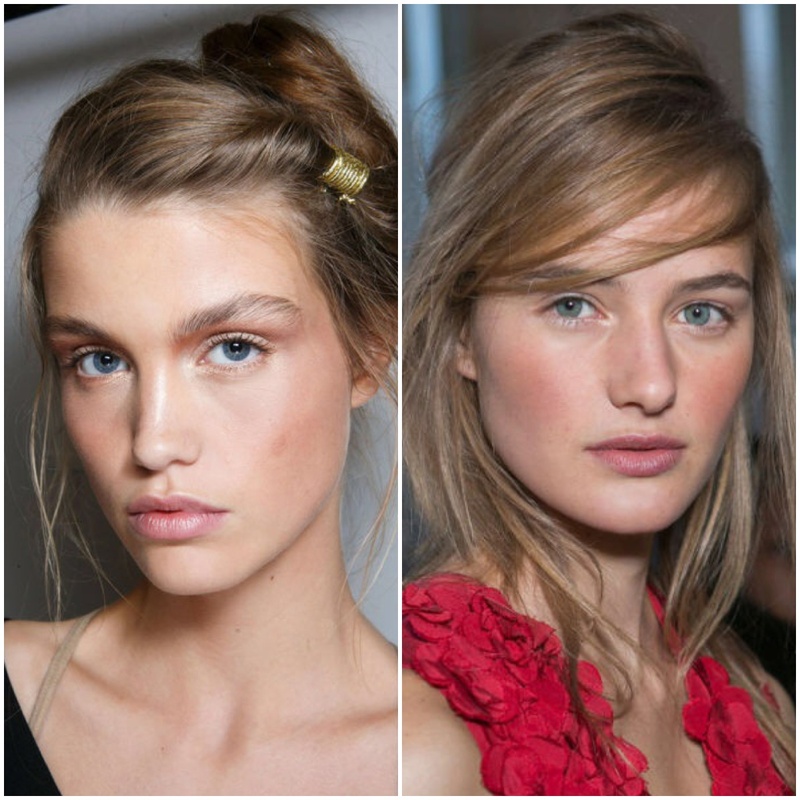 Twist or braid your ponytail to keep your hair out of your face, or twist your hair into a low ponytail and voila! You look like you came straight off the runway! Hair accessories are also very popular for Spring; a little sparkly clip or a floral headband can take a classic hairstyle to a whole other level. Which of the 5 Spring beauty trends are you going to try? Let me know in the comments! Are there any other Spring beauty trends that you love right now? The french manis look cool! I think I will be trying the nail trend for sure! This is such a great post. I think my favorite trend is the simple hair styles. It feels so effortless and makes me feel better about my rush out the door hair days. I love a fresh face and that mani though! I’m all about dewy skin and love the pops of blue color for the eyes! Loving the blue eyeshadow, and I tries the twisted braid and it looked really nice because my hair is really long.